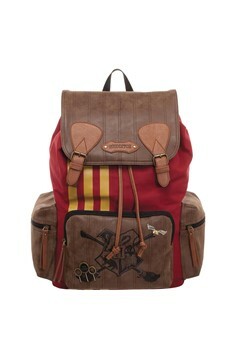 If the Griffindor Quidditch team had their own official backpacks, they'd look exactly like this! 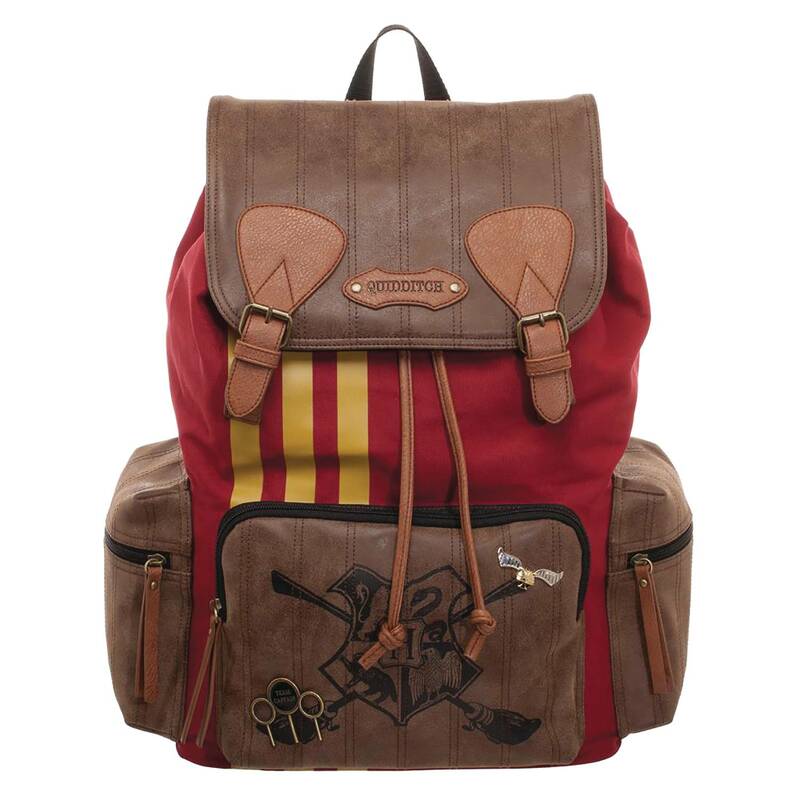 Made from mixed polyester, it includes appliques of the Hogwarts Crest and quiddich themed charms. As functional as it is stylish, this bag also includes an exterior zippered front pocket and capacious main compartment with an internal padded laptop slide pocket for computers up to 15', plus a top carry handle & adjustable padded shoulder straps..